Look no further this lovely well cared for home is waiting for a big family to come and enjoy it. Four bedrooms and 3 baths. Large Living room and Family room. Kitchen has granite counter tops, a big island, and plenty of room for a large formal dinning room table. Master suite upstairs has walk in closet with a large tub and shower. Two other large bedrooms and one other bathroom upstairs as well. One bed and bath down stairs for guest or mother in law. Additionally a big room with french doors could be used as a office or library. Laundry room with sink. Large 3 car Garage. Covered patio and storage shed in backyard. Large cement pad could be used for RV parking. Come see this move in ready home today. 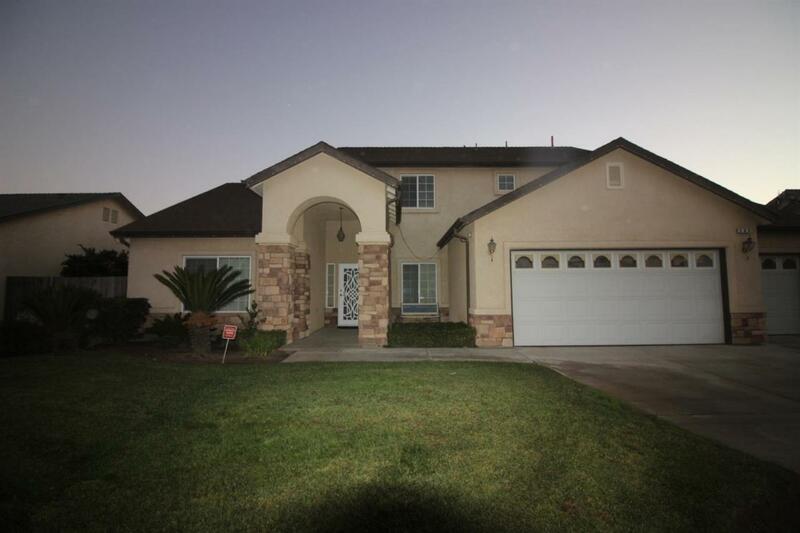 Listing provided courtesy of Marilyn Olsen of Kingsburg Realty.